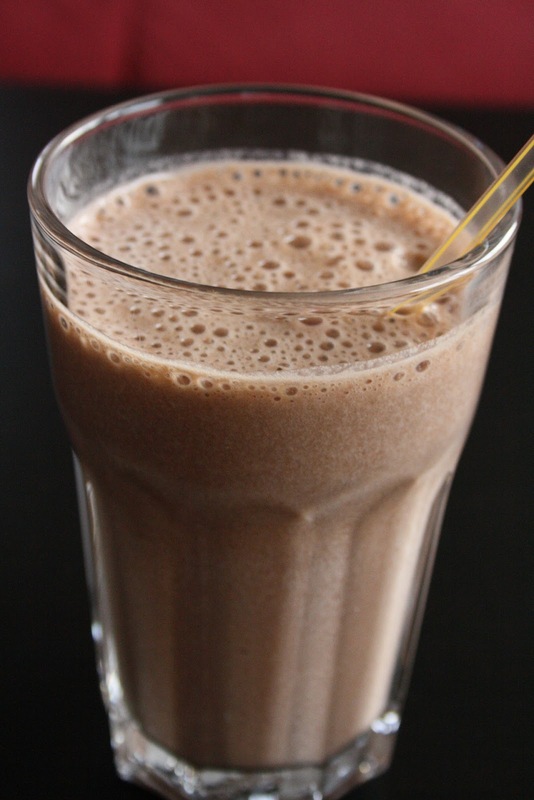 In honor of National Chocolate Day, I figured I would share one of my treats while going yeast free. 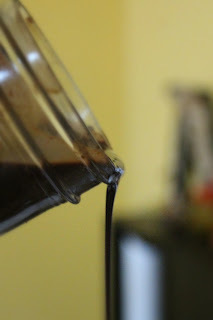 Yeast Free Chocolate Syrup. It kept me from wanting to eat all of our cupboard snacks and allowed me to feel like I was indulging. It's so easy to make quickly and you can double or triple to have some on hand at all times. If you grab chocolate syrup from your local grocer, you are looking at something filled with high fructose corn syrup, sugar, xanthan gum, artificial flavors. All things that are definitely not yeast free or even good for you. I quickly realized I could still enjoy it by making it homemade and it's better for me. Boil/heat water. Make sure it's hot, I learned cold water and cocoa do not mix. Literally. Add in the sugar; whisk until blended. Add in cocoa; beat quickly until there are no more lumps. Allow it to cool. It will also thicken as it cools. If you find it is a little runny, you can add more cocoa and adjust the sugar amount, but through all my trial and error these are the amounts that have worked for me. Then, you're done! Pretty easy, right? You can add it to almond milk for some chocolate milk or heat it up for some hot cocoa. A no guilt way to have chocolate on top of your ice cream too. Delicious! 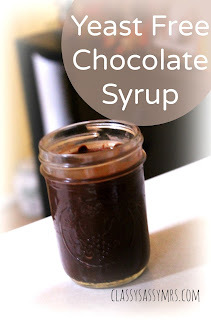 What's your favorite thing to put chocolate syrup on?